I’m always in a state of denial whenever I get off the plane in a new place. Especially one with a significant time change. In my mind the 14 hour flight went by quickly and seemed easy enough. When it was time to disembark my body begged to differ. 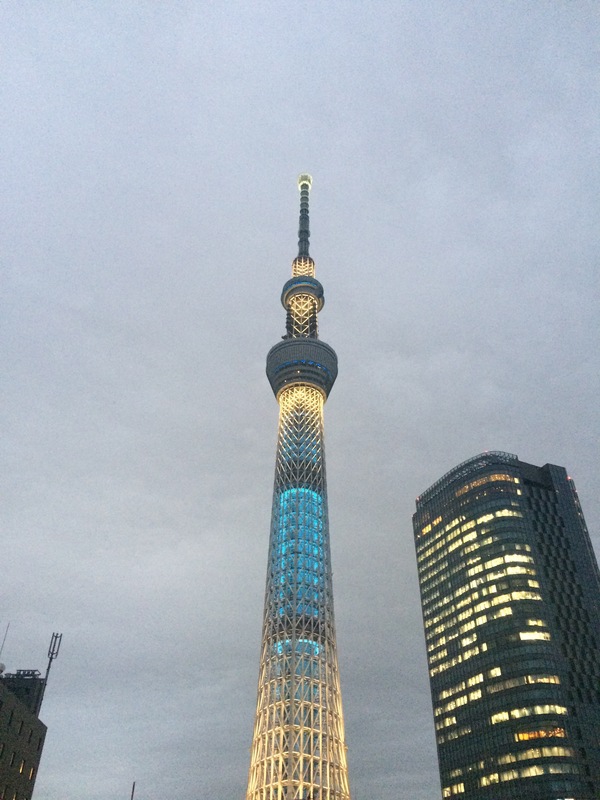 We found our way to the hostel, but it was far too early to go to bed, so we decided to walk around the neighborhood, Sumida, who’s main feature is the second tallest structure in the world, the Tokyo Skytree. Next to the skytree is a massive mall called Solamachi which has restaurants, shops, an aquarium and much more. Here we had our first meal- conveyorbelt sushi. Afterward, we walked around the shops until our legs started to give up, and headed back to the hostel and went to sleep. I woke up at 3:00am and stared at the ceiling, still in denial of my whereabouts. One should not be so fortunate I thought. The girl who thought the furthest she’d go was Arizona was now on the other side of the world – again. The next day we went to the neighborhood of Taito and visited the Senso-Ji temple and Ueno park. At Senso-Ji I got my fortune. I inserted ¥100 into a slot and shook a metal can full of sticks. While shaking I had to think about a wish. I then took out a stick which had a number on it. The number had a corresponding drawer which contained a piece of paper which told me my fortune. 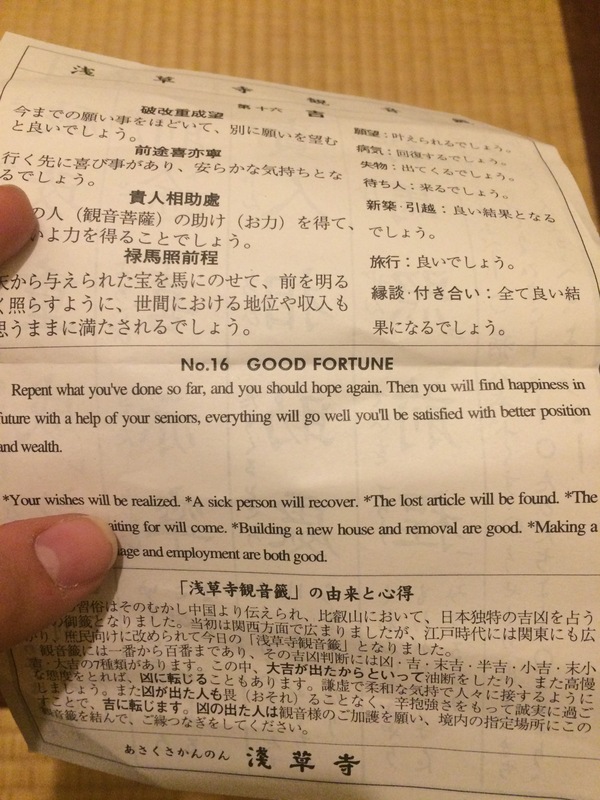 I don’t usually believe in stuff like this, and I did it simply because I thought it was a cute gesture and would make for a nice souvenir, but for some reason in that moment, reading that fortune, I felt like I was exactly where I needed to be. 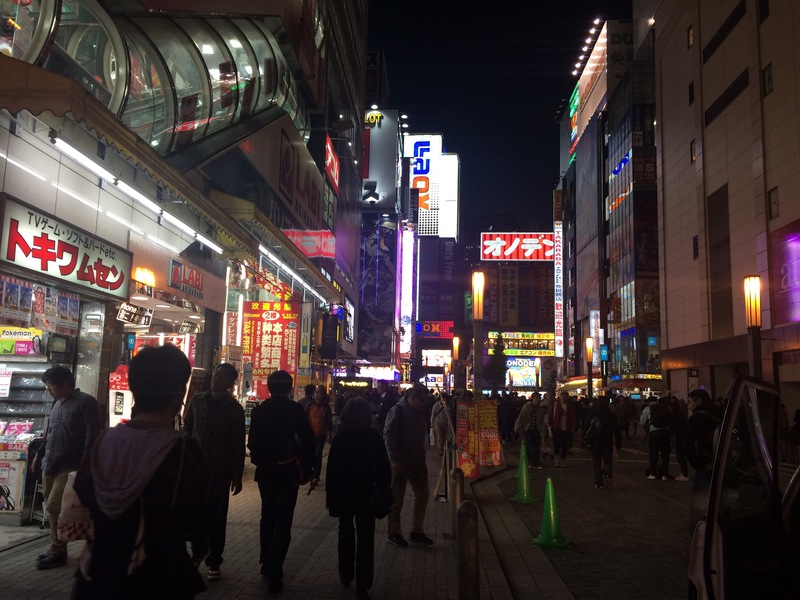 As we roamed the streets of Akihabara, my consciousness was finally winning the fight against jet-lag and I was able to comprehend my surroundings.